The analysis and understanding of eating behaviors from a historical, social, economic and cultural. The description and interpretation of the variability of these behaviors, as well as different kinds of reasons and motivations that explain them. Comparing attitudes and eating behaviors in other countries. Description, analysis and explanation of the evolution of perceptions and social representations of food in general and in relation to new products and new food technologies in particular. Establishment of factors of adoption or rejection. INSA-UB has extensive experience in exhaustive food from a nutritional standpoint, sensory, microbiological and technology. 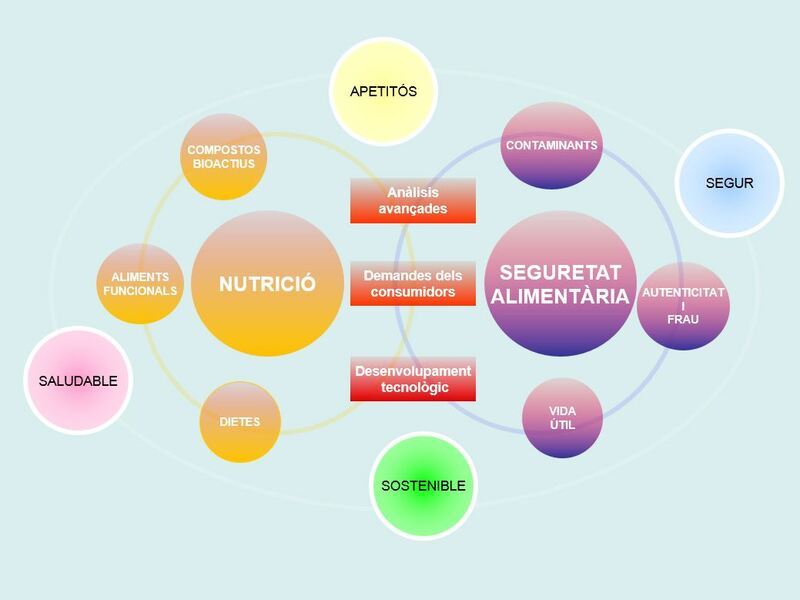 This experience enhances the quality of the process and of many food products, in addition to obtaining new foods and develop in three areas: scale laboratory pilot and scale industrial . Use and optimization of advanced methods of analysis fast, sensitive and selective identification and characterization of a variety of bioactive compounds in a variety of food matrices. Development and validation of analytical methods of bioactive compounds and their metabolites in biological fluids and tissues. Participation in the realization of food composition tables on bioactive compounds for inclusion in food labels. Food Safety. Risk assessment. Pollutants. Risk assessment is seen primarily as a method of systematic organization of scientific information that provides the scientific basis for risk management decisions. Identification and characterization of microorganisms of interest in food (bacteria, viruses and parasites) and prions. Identification and validation of degradation indicators (biogenic amines, microbial indicators, oxiesterols, Rancimat index, peroxide, K270 and K232, etc. ).